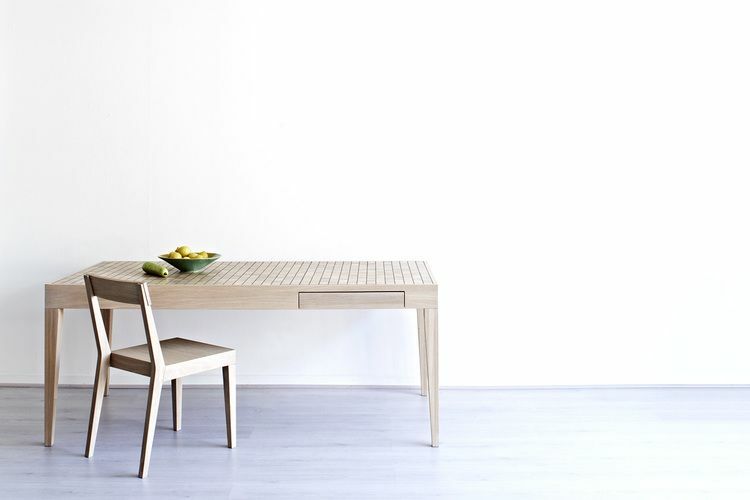 The Cubo Mosaic Rectangular Table is designed by Theo Williams. The Mosaic table top is created by using discarded off-cuts from the manufacture of wood components. The Mosaic is grouted using Fugalite® Eco, a liquid ceramic, eco-friendly, easy- to-clean, bacteriostatic and fungistatic grout. The surface is water and stain resistant.